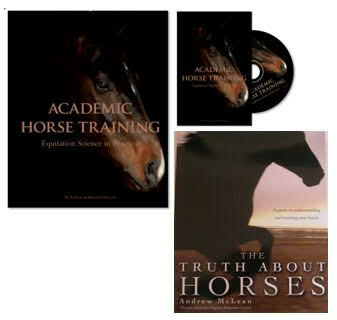 This package includes a copy of ‘Academic Horse Training’ and the accompanying DVD set, ‘Academic Horse Training DVD’, as well a copy of ‘The Truth About Horses’. Gain a deep understanding of equitation science and equine learning theory with these three essential resources for the horse trainer looking for an evidence-based, ethical and sustainable method of horse training. 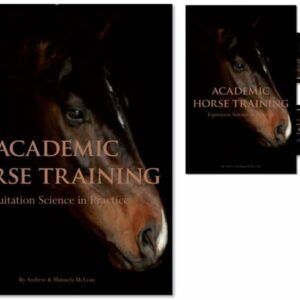 Co-authored by Dr Andrew and Manuela McLean, ‘Academic Horse Training’ and ‘The Truth About Horses’ explore the theory and application of equitation science for in hand and under saddle training, as well as re-training.